A trip to the Mediterranean has been at the top of my travel wish list for years, and I recently returned from a great seven-night Mediterranean cruise with an extra night in Venice at the end. Am now madly in love with both Italy and Greece; they’re both so charming! You always see the photos of the bright blue water surrounding islands full of white stucco buildings on hillsides — and it’s like that in real life. Along with most of the 2,391 other passengers, we stood on the top deck and watched in awe as the ship pulled away from the dock and sailed slowly past the city of Venice, providing a magnificent view of the Grand Canal, ornate churches, smaller canals and centuries-old bridges that cross them. It was breathtaking! Did you know there are no streets in Venice except the road from the mainland? Everyone relies on water buses (with predetermined stops), water taxis (for custom service to a specific destination) or their own feet for transportation from that point. There are sidewalks along the canals. 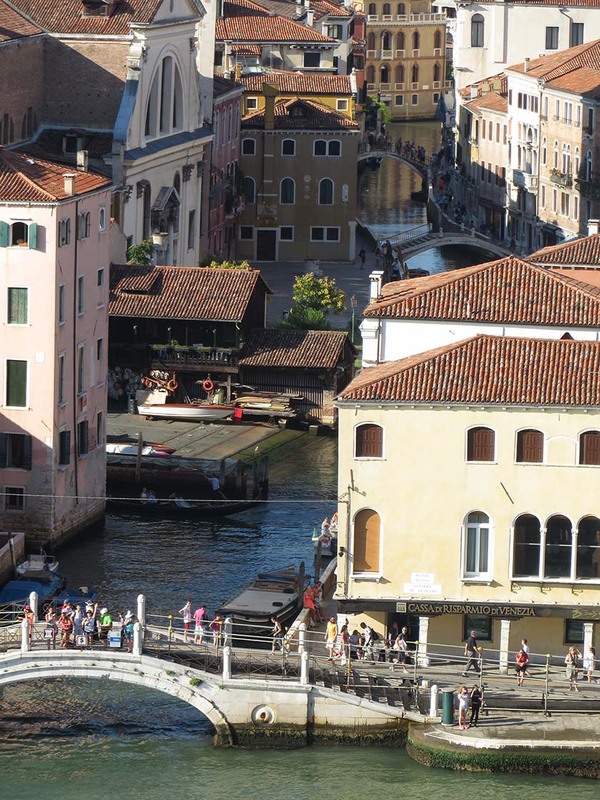 All these years, I thought Venice had both streets and canals — so that was a big surprise! 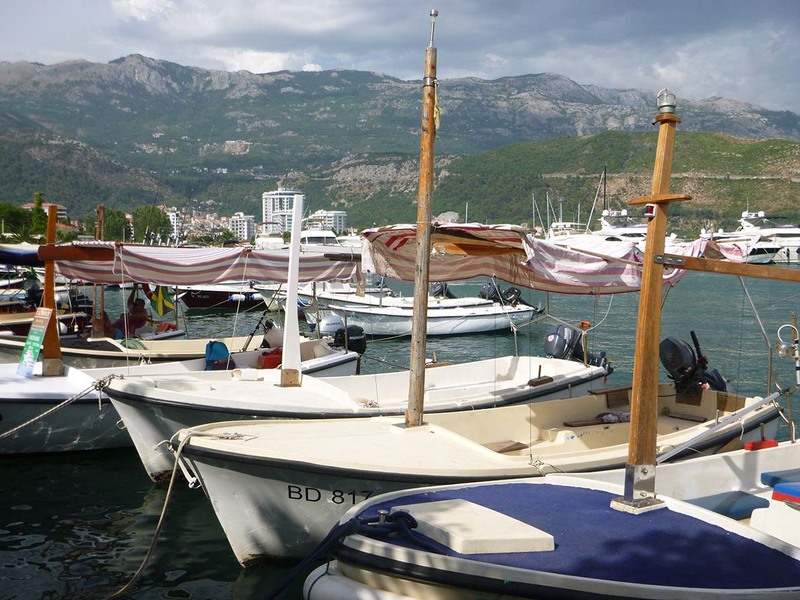 Our first port of call was Kotor in Montenegro — a picturesque seaport town on a bay in a small country located near Bosnia and Serbia. 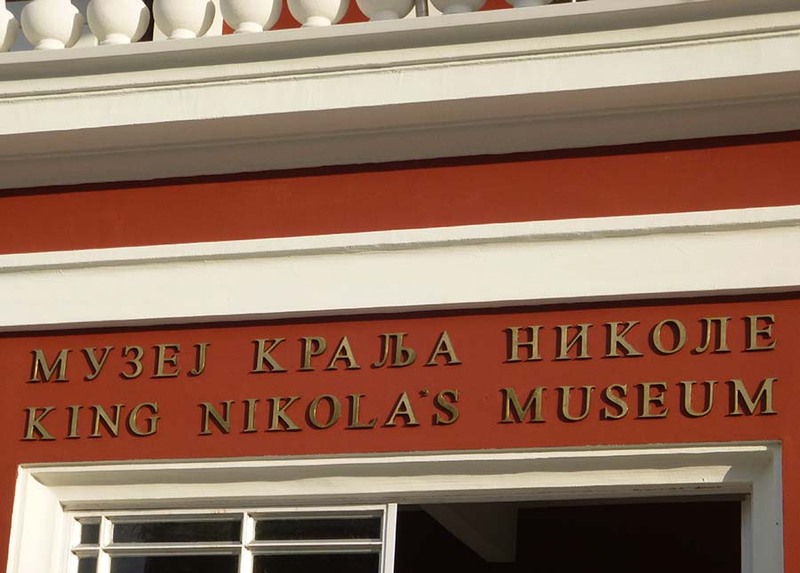 We went on an eight-hour shore excursion there to experience as much as we could in one day. Kotor, an UNESCO World Heritage site, was built between the 12th and 14th centuries and a wall has surrounded it for centuries to protect it from invaders. 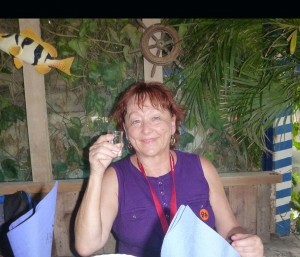 The tour guide led us through narrow cobblestone streets filled with shops, and we had lunch at an open-air restaurant near the water. It was about 100 degrees out and very humid, so the outdoor experience wasn’t all that comfortable… And we were surprised to see that our first course was — hot soup (with a shot glass of ouzo)! After lunch, we checked out a few tourist shops and boarded a shiny new Mercedes-Benz tour bus headed for Budva, a 2,500-year old village at the top of a mountain. 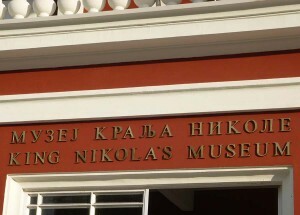 We toured King Nikola’s Museum there (I’m not a history buff, but the exhibits were really cool), stopped at a restaurant for a snack of prosciutto and cheese and a quick run through a gift shop next door, and took pictures of an incredible view of the Adriatic Sea below. 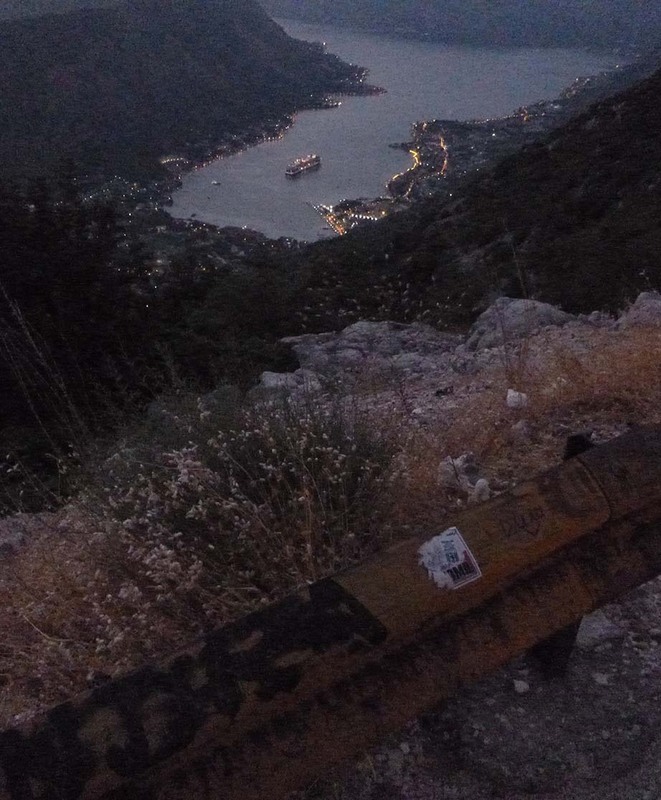 It was starting to get dark when we began to head down the mountain, which had 25 hairpin turns (switchbacks) on a one-lane road (see photo above). It wasn’t so bad going up, but M and I were in the front seat of the bus going down, which was like being in the front of a roller coaster! Every time we’d come to a turn (and the number of each switchback was conveniently painted on the dented, crumbled railing around the edge of it), every person in the first four rows of the bus would gasp loudly. The bus pulled so far over to the left to negotiate each turn that it was literally hanging over the edge of the mountain — and it looked like we’d plunge over. When we successfully completed each turn, we’d all burst into nervous laughter. Each time we’d encounter an oncoming car, the bus driver pulled up nose-to-nose with it, forcing it to back up and go around us on the other side of the road. One car backed up so fast and so far that we thought it would fly off the edge of the cliff behind it! And one female passenger got out of the car when the bus faced off with it (guess she was leaving her husband on his own!). When two cars approached from opposite directions at the same time, the driver had to get out of the bus to direct traffic around it. 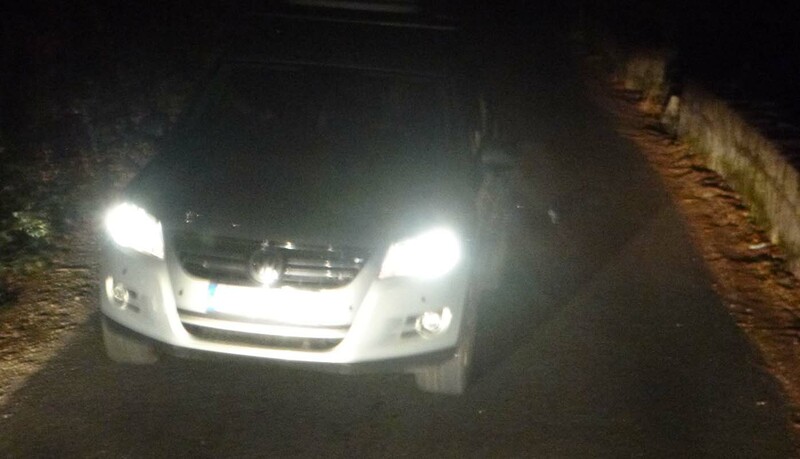 Eventually we made it safely back to the ship, and we gave the nerves-of-steel driver a big tip. 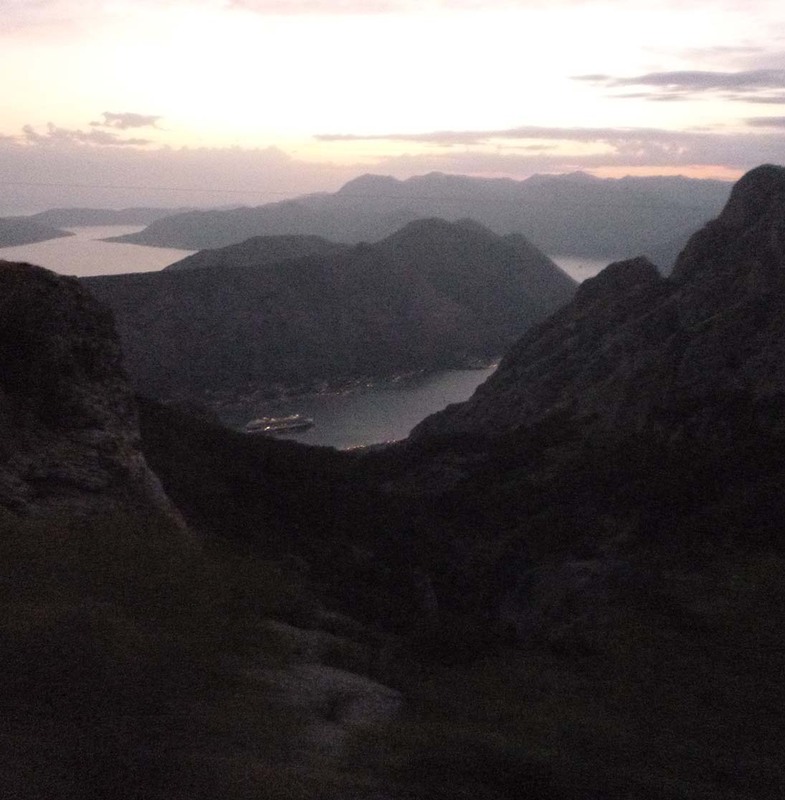 The shore excursion brochure promised an exciting adventure, and we really got our money’s worth in Montenegro! 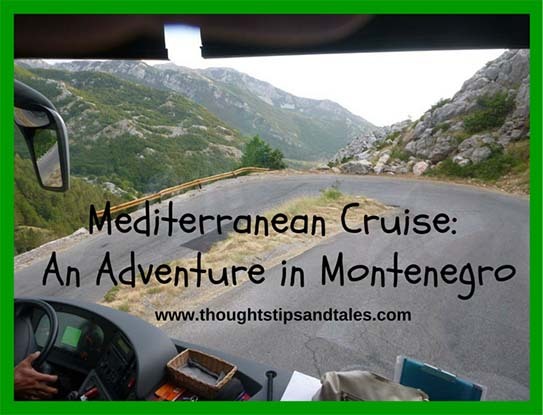 This entry was posted in cruising, mediterranean cruise, Montenegro, vacation and tagged cruise, Mediterranean cruise, Montenegro, vacation. Bookmark the permalink.